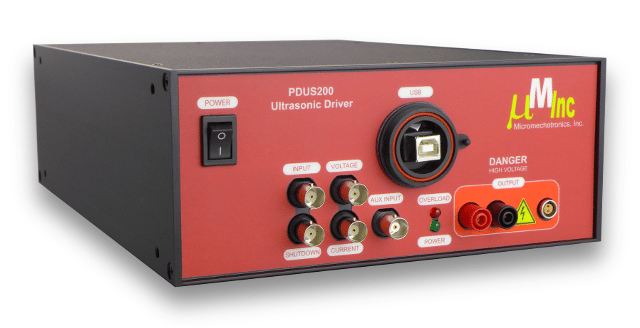 The PDUS210 is a complete solution for driving precision and high-power ultrasonic actuators. 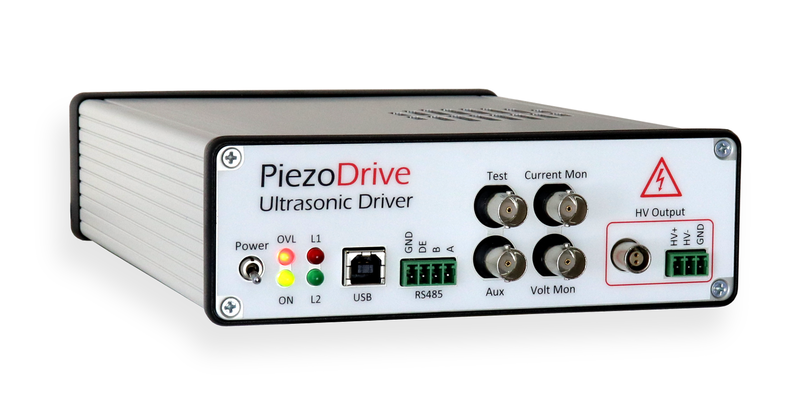 The amplifier includes high-speed resonance and anti-resonance tracking, power control, and functions such as impedance and frequency response analysis. The PDUS210 is well suited to both OEM product integration and laboratory use for research and development. Applications include ultrasonic drilling and cutting, medical devices, dental devices, ultrasonic testing, liquid cavitation, and vaporization.